Arsenal must answer the club’s ‘big demands’, and discard crippling ‘pressures’ on the pitch, if they’re to obtain Champions League football next term with a top four finish this season. Vinai Venkatesham, the Gunners’ managing director, has outlined the importance of a return to Europe’s elite club tournament after two seasons in the continent’s secondary competition, the Europa League. Having lost their opening two Premier League encounters against Manchester City and Chelsea, Arsenal are currently unbeaten in 16 competitive games and could muscle their way into the top four if they defeat AFC Bournemouth on Sunday and, fundamentally, if Tottenham Hotspur fail to scalp Chelsea on Saturday. 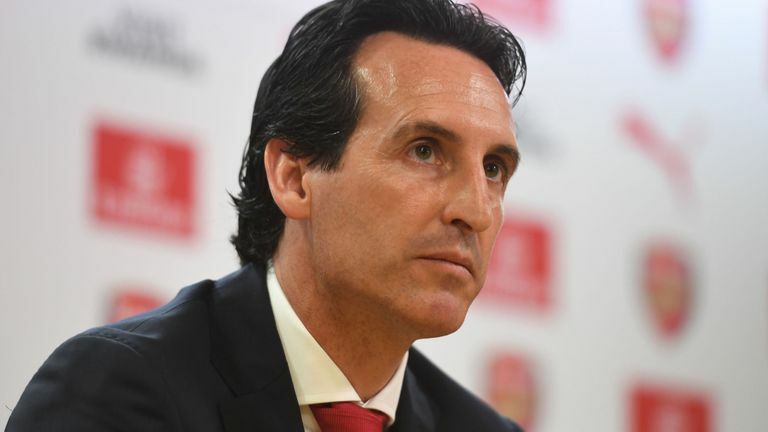 Aware of the board’s ambitions, Unai Emery is prepared to do whatever it takes to finish the 2018-19 campaign in a Champions League spot, and though it may only be his maiden season on English soil, the innovative Spaniard understands that hard graft and tenacity will enable his team to smash their targets. “I learned in my past that I am not [under] pressure,” he said to the media (via Daily Star). “I learned that I need, for me and for every player and people that work close with me, to have very big demands. “Here, I want to transmit to every player, the high level we need to work, the high level we need to stay [at]. “It isn’t pressure, it is our demands, our big demands every day. Share the post "Arsenal must answer ‘big demands’ to obtain Champions League football"